The Austin City Suite is situated directly across the street from the Austin Convention Center. The property is a 3 bedroom / 2 bathroom condo that is fully furnished with everything you need for a unique and comfortable experience in downtown Austin, Texas. During your stay, you will enjoy to the best that Austin has to offer downtown. Walk everywhere, or take a pedicab, taxi, or Uber. Visit the world famous 6th Street and the Warehouse District just steps from your door. Safely walk just a handful of blocks from every other downtown attraction including hundreds of restaurants, movie theaters, bars, nightclubs, lounges, and live music venues, the location cannot be beat. The town lake walking/jogging trail is just a few blocks away, there is a yoga studio just across the street, Starbucks is 200 feet from the front door, and arrangements can be made for a temporary gym membership two blocks away during your visit, if desired. This 1,200 square foot poolside condominium features accommodations for up to 8 guests (three queen beds and an air mattress), central air and heat, a full sized stackable washer and dryer, free cable television, free wireless internet access, wood burning fireplace, and plush furnishings. With granite counter tops, flat screen televisions mounted on the walls, and super soft beds, we have covered all of the bases to provide you with a comfortable stay. A full kitchen with oven, stove, microwave, dishwasher, coffee maker, and all of the tools you need to cook your favorite meals is included, however there are so many dining options within a few blocks, you may never use it. A few nearby options from the Railyard Oasis include: Fleming’s Steakhouse, Fogo de Chao, Piranha Sushi, Vince Young Steakhouse, Backspace, PF Changs, 200 Congress, La Condessa, Lamberts, Swift’s Attic, Champions Sports Bar, Parkside, Eddie V’s, The Onion, Trace, Perry’s, Uncle Julio’s, and many more. The property was great! Five of us stayed in this large three-bedroom for two nights and were very comfortable. The one hiccup was that when we arrived, the keypad lock was malfunctioning—but after a two-minute call with Ryan, we were in and had no further issues. Great place for a weekend with friends! The place is as advertised. It’s spacious and comfortable. 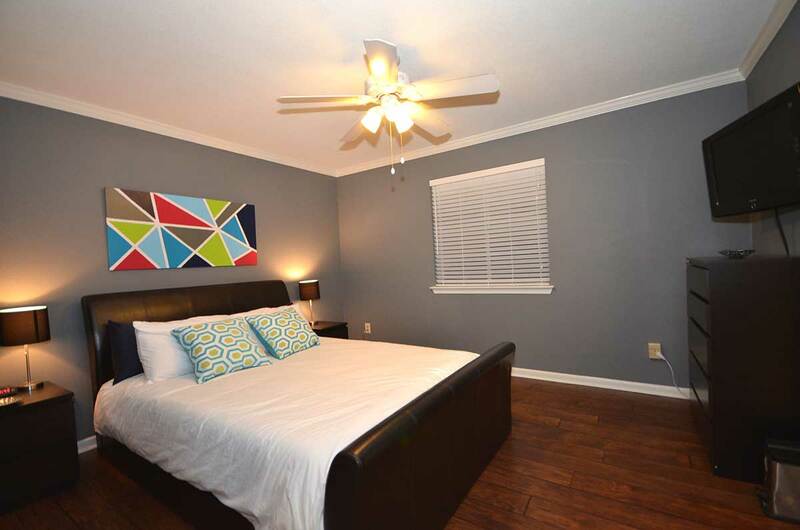 It is a great location for 6th street and other tourist areas. There are plenty of things to do within walking distance. Ryan responded within an hour to any of my questions. The apartment was excellent! It looks exactly as it does in the photos and is in a perfect location to explore Austin without a car. Our group arrived and the place was spotless. We never saw Ryan, but knew that if we needed anything he was on call. One thing that is fantastic about this place is that it is entirely keyless – so our party could roam in and as needed and not stress about losing the key or only having a few copies. All and all, a fantastic experience and I would definitely stay here again! 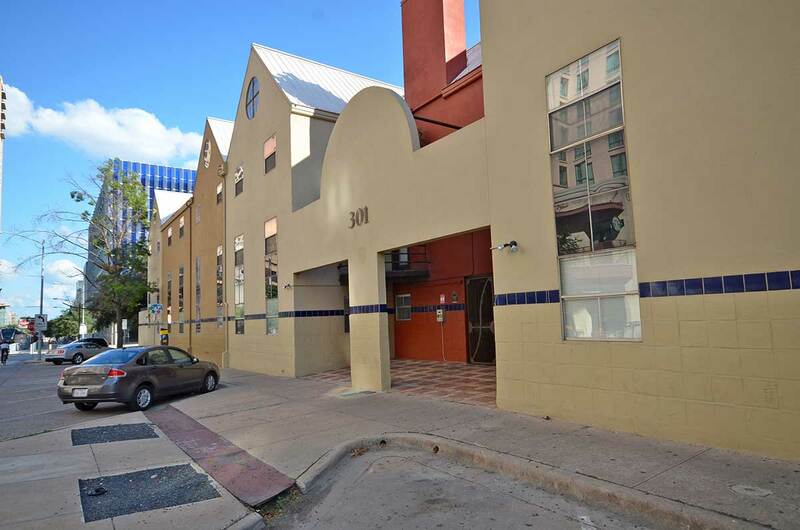 Ryan’s listing was in a great location right in downtown Austin. It was easy to park, get in and out of with the code and key provided, and was clean and put together as described. Ryan’s condo was a really excellent experience for my colleagues and I. The condo is everything pictured and more — a really perfect, central location anchors the place, and you can walk to bars, restaurants, shops, and more within a few minutes. The beds were comfortable, and the rooms were clean and stocked with fresh towels and linens. Our only minor gripe was some really awful noise from another unit’s outdoor partying one night that went until 4am. I don’t mention it to disparage Ryan, but only to highlight how swiftly his team contacted their building’s ownership and dealt with the problem. After that, we had no more issues. All in all, highly recommend giving this place a shot. You likely won’t have any issues, but if you do, Ryan will certainly do what he can to resolve it. Thanks again, Ryan! Get place for a group of friends to rent to see 6th and all of Austin. Great location and an easy walk to restaurants and bars downtown. Key code entrance is great for larger groups to avoid having to hand off/share keys. Parking spot was very convenient. Ryan and team responded timely to all my questions. Living area is a bit smaller but not an issue if you’re not planning to spend a lot of time on the apt. Only issue we had was running out of hot water after 3-4 showers with 7 guest. Also it’s a bit on the darker side bc it’s on the ground floor but we also stayed during a cloudy weekend. We visited over the NYE weekend and this was such a Great location! It was walking distance for everything we did. Ryan was great and quick to respond to our inquiries. He went above and beyond to make sure we had a nice stay. Highly recommend you stay here if you want the DT Austin experience. We had 6 adults in our party and the accommodations were perfect. Location!!!! While the place could use a facelift, the price point and location were excellent! As others have stated you can hear the street noise but what do you expect from being in the heart of downtown Austin. Overall, a great experience staying here. Very convenient to the nightlife. Proactive communication from the host was on point. Thank you so much! For the money, this place is money. 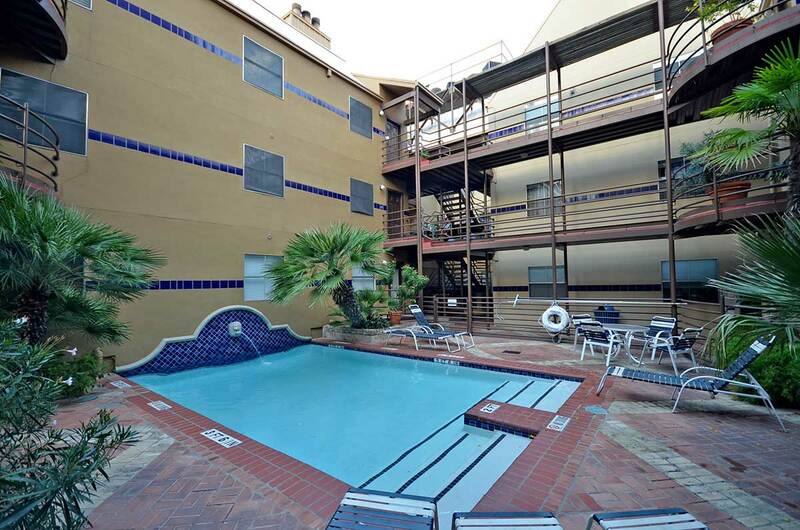 Very well located for a down town Austin visit, whether work or play. The place is clean but dated. It is on the first floor, near the gate to the outside world on a busy street, street traffic, peds coming and going, etc. .. its “urban” loud. 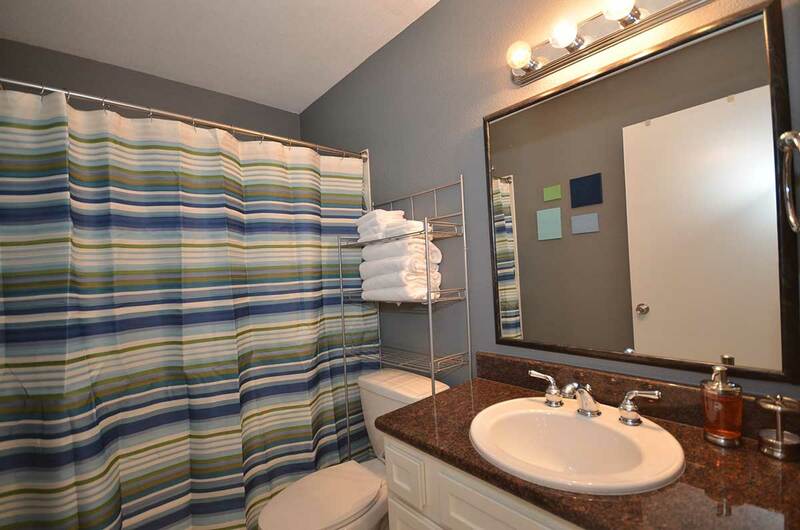 It is walkable and close to work and play downtown. The kitchen is in good shape and well appointed. The living space is tiny and the bedrooms are nice size. Beds are fine .. nothing special but certainly not uncomfortable. I’d stay again for work during the week but likely not on the wknd .. unless I was 20-something and looking for the party. Everything was done via email. Never met or talked to anyone at the condo. Had problems with the tv but other than that the trip was fine. The condo is nice, but we were a little surprised at how small the living room was, it definitely looks bigger in pictures. There were also definitely a few things that needed to be fixed cosmetically, but nothing that impacted our enjoyment of the condo. Thomas was very accommodating and helped us store our bags before we could check in, and even put them in the condo for us. And he gave us an awesome lunch recommendation, too! 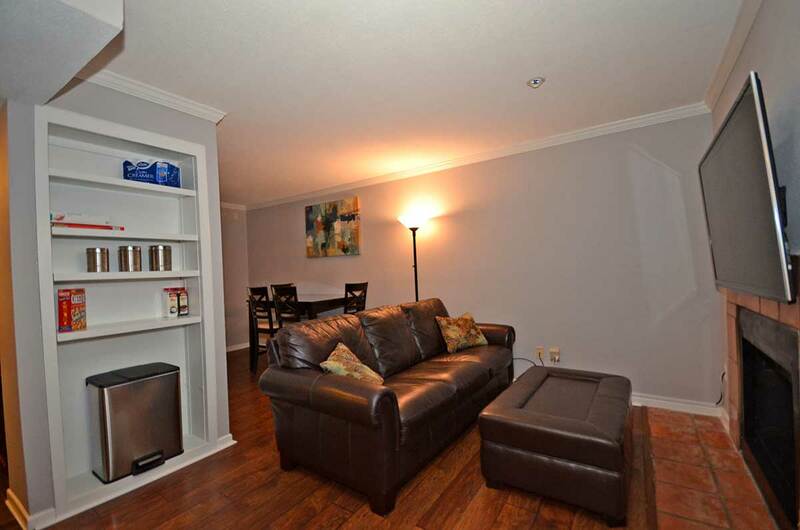 The location is superb, right downtown, easy to walk to lots of great places. The only issue we really had was that the TV in the living room was the only one that worked, the ones in the bedrooms didn’t work. And the wifi was pretty much useless. We weren’t there to spend much time in the condo, so it wasn’t the end of the world, but was definitely and inconvenience. I sent an email about the issue during our stay but never got a response. The only other negative, which was mentioned in a couple other reviews, was that being on the ground floor you do get a lot of noise from people walking by. I was in the room near the interior so it wasn’t too bad, but friends in the rooms on the street said they felt like people were in their room it was so loud. Host was very responsive and provided great detailed information the check-in process and the area. 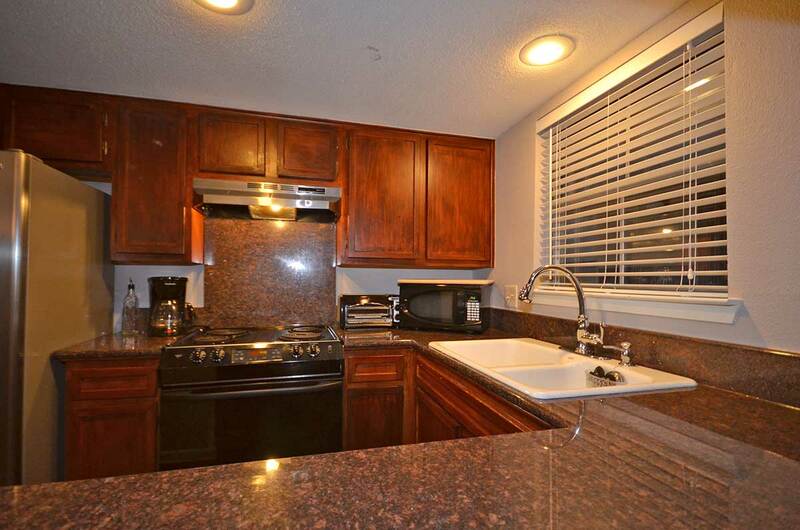 Place is very clean and all necessities are provided. very convention centre, night live and restaurants. All within easy walking distance. ideal for business travel. Great location! It’s central to restaurants, bars and a running path along the river. The information provided was full of helpful information which made check-in a breeze. We also used a few of the recommendations for places to eat. The location was fantastic as everything was within walking distance. The toiletries provided (shampoo, soap, conditioner) was also high quality (dove), which was a nice touch. I would stay here again, but may try to find an apartment that wasn’t on the ground floor first. There was quite a bit of street noise which was distracting when trying to sleep especially for the 2 bedrooms facing the street. The wifi was also on the slower side. I would definitely rent from Ryan again though. 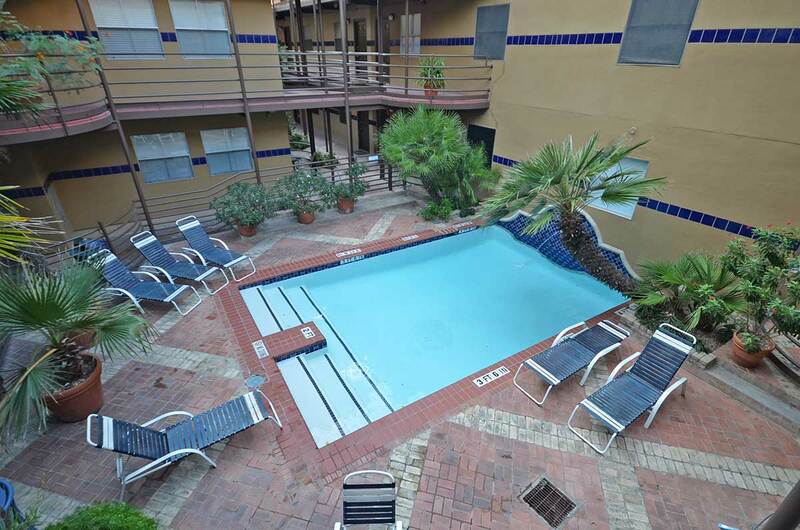 The location of this apartment is in a great location to visit Austin and the majority of what you need is within walking distance. Ryan was prompt to respond when booking as our plans were changed at the last minute. Great location, apartment had everything we needed! Ryan and Thomas were very responsive, the apartment was in a great location – very happy with stay. Ryan’s condo was clean, modern, and very conveniently located. The beds were comfortable and the rooms were spacious enough for our group. We had three of us for half our stay and six for the other half – we never had any issues with being cramped/hot water/anything. I would not recommend more than six guests as the living room/dining area is not very large. The only slight problem was regarding communication prior to my arrival. Ryan has a property manager who is your “point of contact”; however, he happen to be traveling so it was a little confusing as no one responded to my contacts for the few days leading up to my arrival. I would recommend staying at this condo. Thank you! This was a fine apartment. 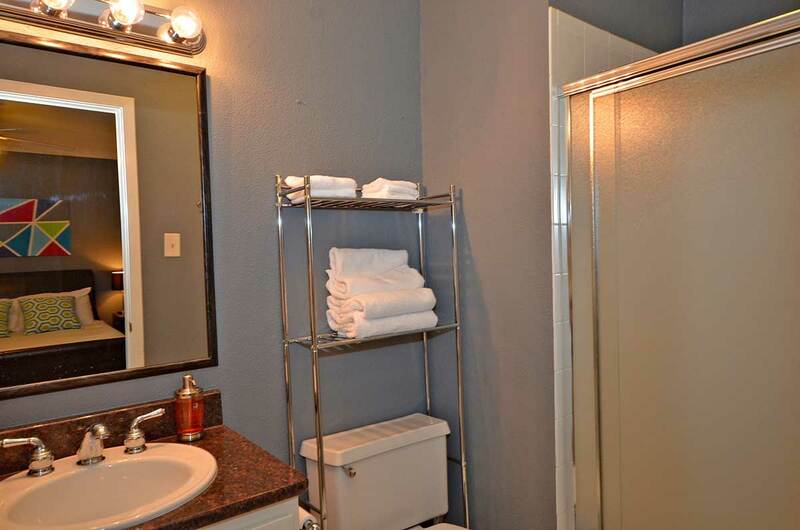 Not the best that I’ve found on Airbnb, but certainly in the upper 25%. The general living area was a bit small, but the bedrooms were spacious and comfortable. If you’re coming for a conference at the convention center, it’s hard to beat location here as it is literally right across the street. It’s also an easy walk to much of what downtown has to offer. The only major downside is that the wifi internet is extremely slow. Like, so slow that it made more sense most of the time to connect to my phone as an internet hotspot. And this was just for some general email and small file transfer. The place was clean, well equipped and close to the exhibition center and all the pubs and clubs in town. It really was a home from home. We will certainly come back next year. This listing was exactly what we were looking for! The location was perfect – super easy to get to all the locations we were hoping to visit. The host provided a list of any information that we might find useful, and we referenced it multiple times throughout our trip. The place was clean when we arrived, and was fully stocked with supplies that would have been a hassle to go get on our own. Great amount of sleeping spots for a larger group. I would definitely use again! You really can’t beat this location. It’s in the heart of downtown Austin and pretty much everything we wanted to do was walkable. This was especially fortunate for our group as Uber and Lyft had just left the city. It was VERY hard to get a cab. I’d highly recommend Ryan’s apartment. We had a blast! I got all of the necessary info from Ryan far ahead of my stay. Access was easy, and we were well-prepared for our stay. The 3 beds are comfortable, and there is plenty of room for air mattresses/sleeping bags. Great space in the middle of all the action. Both Ryan and Thomas were very responsive to texts and phone calls when we arrived early and were super accommodating with storing our luggage. Would definitely stay again! We stayed with 2 other couples for 5 days and 4 nights in this Condo. It was clean and well prepared . Awesome location for walking around downtown. We would definitely stay again. The only downside and I am sure there is nothing the owner could do about it is the windows are not sound proof . We had ear plugs from the races and used those and slept quite comfortable after that. Its the trade off for being downtown which to me is well worth it. We were there for SXSW. The location was very convenient, little loud because of the “liveliness” of the event goers. When we arrived, everything was as described. We didn’t need to buy anything besides groceries and beer. Fantastic location, right in the heart of everything. Once the car was parked we didn’t need to move it. Beds were top notch which can make or break a trip. We didn’t spend much time inside with so much of the city to see, especially with Ryan’s suggestions of food and attractions. When I had a question for Ryan he texted me back in under a minute. Overall 12/10 experience and I would highly recommend staying here. Our experience with this property was great. The location was perfect for us — it’s right in the middle of everything and we’re able to walk almost everywhere we wanted to go. Ryan provided professional management and we had just a wonderful trip. Ryan was an excellent host. Great communication pre, during and post trip. Loved the convenience of the keyless entry with our custom passcode. That made it easier getting in and out, no worry of losing a physical key and made us feel more secure. 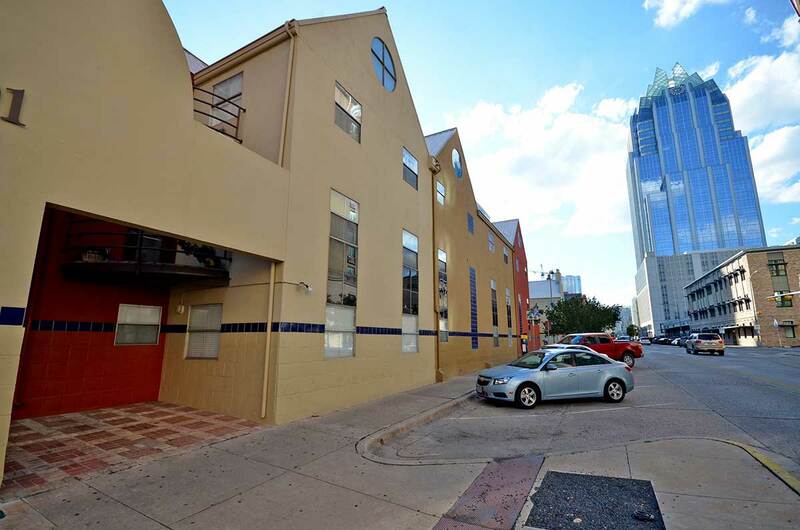 The location is A+ right in the heart of downtown Austin. Everything you need is walking distance. I would highly recommend to anyone traveling to Austin. Ryan made us feel welcome before we even got to the apt. He provided a lot of useful information about the area and some great recommendations. Thomas was onsite to help us with our bags since we were very early. And, he made sure we were comfortable when we checked in. Great location!! Great space! Ryan was great! Very accommodating and helpful. He gave us a lot of useful information to make our trip easier. The apartment was very clean and exactly as shown in the pictures. There were a few minor glitches but they were resolved with a text to Ryan. The location was perfect! It was right in the middle of everything and everything was accessible by foot. No rental car needed! The only thing I would say is that the apartment is on the ground floor and it was a little loud at night with noisy people on the street and other residents of the building. Austin is a great city. I only wish I had more time. I will be back. Ryan was very helpful and met all of our needs. The location of this condo was amazing. We were able to walk everywhere we needed to within 20 minutes. Another huge plus was the gated parking spot. This was a business trip and we had 3 people staying. It was comfortable for all of us. It is located in a busy area on the street level so on the weekends, you are going to hear some noise. This didn’t bother us at all but if you are looking for a quite weekend away this location might not be best for you. We enjoyed our stay and will come back to stay again. Great location for a weekend in Austin! The place is very comfortable and exactly as advertised. Would absolutely look to stay here on our next visit to town. Great location – especially for a live music lover like myself. Felt the living room-dining area was a bit small for two business travelers to share. But felt welcomed and everything was clean. Very easy access. Couldn’t find the Keurig mentioned in the welcome note. Also, a bit noisy being on a first level, but kind of interesting – Austin being weird and all. Off-street parking a big plus. Great stay at Ryan’s place. The apartment was exactly as described and there was plenty of space for the 3 of us. The location is perfect, with everything with walking distance. Ryan was great in providing plenty of information before we arrived, which was really helpful as we were visiting Austin for the first time. I would definitely stay at Ryan’s place again. Ryan was very accommodating. There was a problem with one of the bathrooms and he immediately fixed. He even let us have a late checkout at the last minute. The location was perfect, walking distance to all the restaurants and bars. Thanks for the great stay. This apartment was awesome! It’s located just two blocks from the heart of Austin, so it made getting anywhere super convenient. 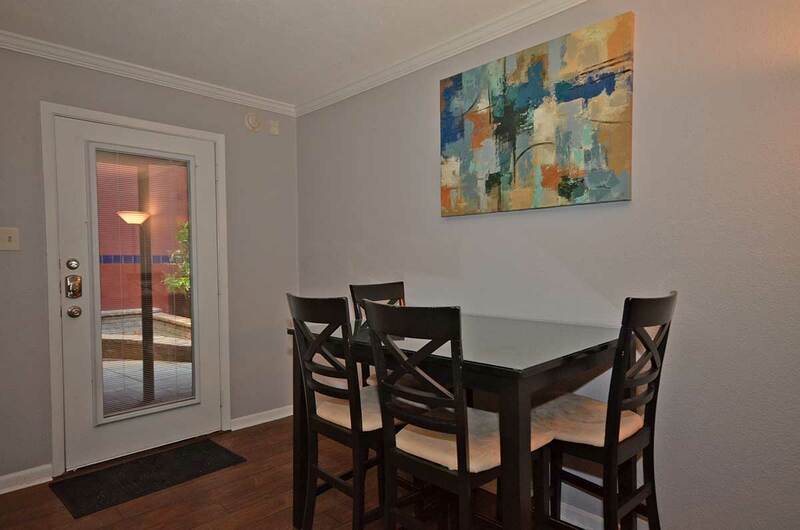 The listing is completely accurate, it was a spacious 3 BR and everything was very clean. Everything we needed, like cups, toiletries, towels, sheets, etc. was provided and in great shape. I’d definitely recommend staying here. great time at this place! great location we hardly ever used our car because everything is so close. we had a great time. Emplacement idéal pour découvrir Austin Downtown. A deux pas de la 6ème rue et de ses innombrables bar proposant de la musique live. Propre, trois véritables chambres, deux salles de bains (dispose d’une place de parking), la taille et la luminosité réduite du salon en font un lieu avant tout fonctionnel pour se reposer. Bien que au rdc, nous n’avons pas eu à nous plaindre du bruit. Nous y avons séjourné la semaine suivant Noël et elle ne doit pas être la plus effervescente.